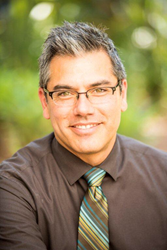 Frank Sanchez, PhD, LMFT, joins Promises Young Adult addiction treatment center as its program director. Dr. Sanchez brings 15 years of experience treating people struggling with substance abuse. I have known Promises to be the gold standard of treatment in Los Angeles, and I am excited to be a part of this team that uses a holistic treatment approach to healing and recovery. Promises® Young Adult treatment center in West Los Angeles named Frank Sanchez, PhD, LMFT, as its program director. Dr. Sanchez has extensive experience working with adolescents and adults struggling with substance use disorders and co-occurring mental health issues. Promises Treatment Centers® is among the nation’s premier addiction treatment centers. Led by some of the country’s leading addiction specialists, Promises® has built an international reputation for innovative addiction treatment and exceptional service. Whether an individual requires eating disorder treatment, drug or alcohol detox, residential drug rehab, outpatient treatment, extended care or a sober living environment, Promises has been a treatment center of choice for more than 25 years. For more information, visit http://www.promises.com or call (866) 285-9441. Promises Treatment Centers is a member of Elements Behavioral Health, an owner of a nationwide platform of behavioral health programs with over 750 licensed beds throughout nine states. The Elements Behavioral Health® family of programs offers comprehensive, innovative treatment for substance abuse, depression and anxiety disorders, eating disorders, trauma, sexual addiction, and other mental health disorders. Through its programs, the company is committed to delivering evidence-based, clinically sophisticated treatment that promotes permanent lifestyle change, not only for the patient but for the entire family network. For more information, visit elementsbehavioralhealth.com.